Vacation time, it’s really hot now, and the desire to eat an ice cream on the beach cuddles our mind. A workshop is on its way for all the friends of Daydreamland! Today I am really happy, I was looking forward to tell you about this event. What are you going to do on May 20th at 6 PM? Come and visit me in Milan at Spazio Eclisse – Donna CreAttiva in via Stoppani 20. Summer is approaching, why don’t we celebrate it together? 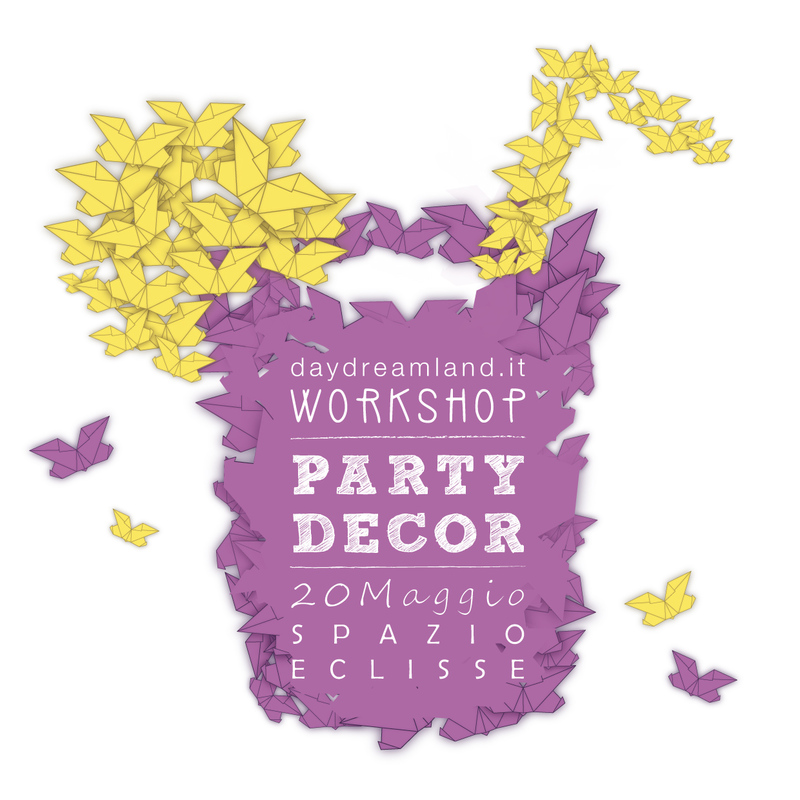 This workshop will surely give you many original ideas to create a theme party. 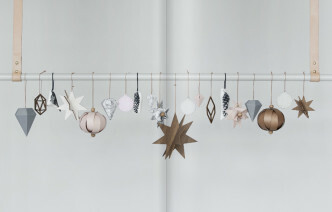 Do you want to learn how to make my baubles? 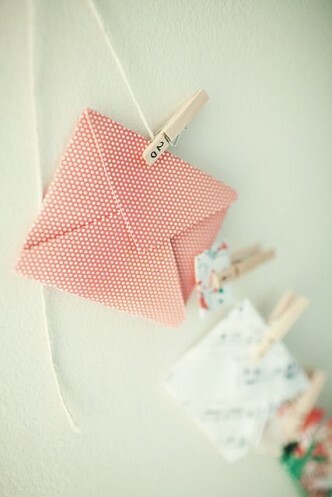 What can you do with an origami? 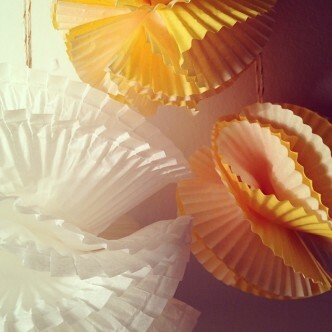 We will set up a buffet along with garlands, cake toppers, cadeau, cutlery origami container and many small ideas. One after another, like cherries. 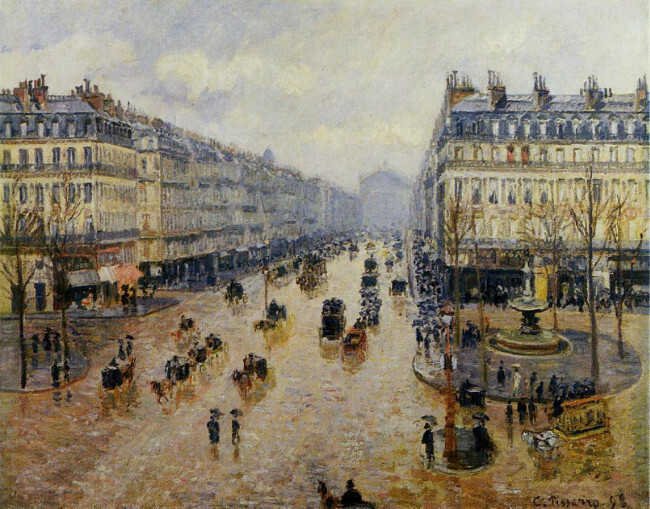 I’m talking about the exhibitions of Impressionists that are crowding our cities in recent months. After Monet in Pavia and Renoir at GAM, you’re still in time to see Pissarro at the Stables of the Visconti Castle, Pavia, until June 2nd. Well, if you, like me, lost some exhibitions you can still fix it. Oh and don’t forget, May 4 will be the last day of “Towards Monet” in Vicenza. These are probably the most visited exhibitions and the most strategic too; Impressionism by its very nature is easily recognizable and enjoyable. Who doesn’t remember when in school we studied Manet, Monet and Renoir and have enjoyed the use of colors, the immersion in nature bathed in sunshine, the studies of ever-changing lighting conditions. Yet the same Manet, Monet and Pissarro did not enjoy great fame among their contemporaries; labeled and derided, accused of making paintings that were rough and unfinished, like “palette scrapings”, they were rejected but maybe it’s among them that we find the germ of the painting of the twentieth century. Can we find here the focus of modern art? I have seen several Impressionists exhibitions and yet I’ve never been to the Musée d’ Orsay and this is the first note that I will write on my agenda, hoping to tick it soon! When we see a project we always ask where it was born, where is the source of inspiration. If you think about it, the answer is often the same, and very simple: the idea was born by chance, maybe while doing something else or simply chatting. We should then be curious to know on what basis a newborn idea can grow and develop, how it can be supported and brought forward. Talking to Fernanda Muniz (her friends call her Fer) from Atelier de Fer I discovered that from a simple cloth, folded and turned here and there, something wonderful is born. The sun pops out and I eat an ice cream! And what if the rain takes me by surprise? I get dressed in yellow and smile waiting for the sun to shine. I take a dip in the waves and if I encounter a shark … soon he’ll be the one to be afraid! Lazzari’s Spring / Summer 2014 collection is the triumph of imagination. Among cats, funny glasses and cardboard record player, here’s a line that’s fresh, fun and playful. From the archive of my first blog in this Valentine’s Day week it’s with pleasure that I propose you the recipe for hot chocolate from my dear friend Maria Rita ! 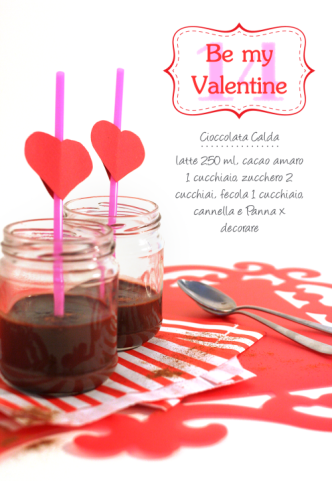 Last year I made ​​this picture and my post was also hosted on Emanuela’s blog – Riccioli di cioccolato. Are you a fan of chocolate, are you a sweet tooth, are you curious? You can’t miss her blog and her stories about the “places of cocoa”. 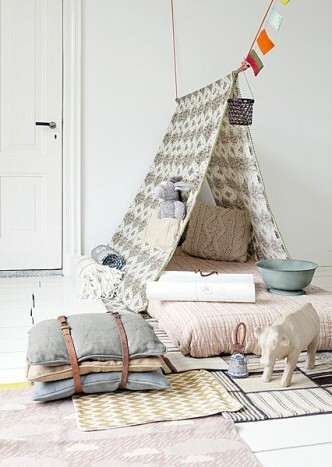 An idea to replicate? Serve the hot chocolate in small glass jars … it will be something different! 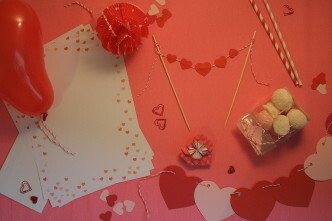 Hello friends, to wish you a happy Valentine’s Day week, today I’ll tell you about Pretty Box and the window display I made! 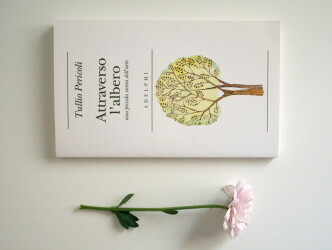 Here is the post that Ilaria (she’s so sweet!) dedicated to my work. 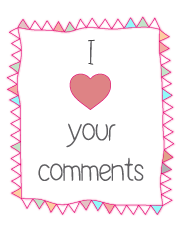 How long since I last wrote on the blog!!! Maybe lately I’ve spent more time on Instagram and Facebook than here, and if you follow me you probably already know a few things that I’m about to tell you. 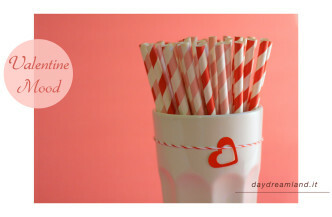 I know, it sounds a bit mysterious, so for now I will just tell you about my little project: “Valentine Box”. 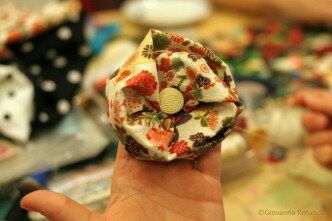 A couple of months ago I tried to make a paper “bauble” and… it was true love! Sometimes you have to think a bit about things until you find the right inspiration. That’s how I started using my “chiffon” baubles to decorate Christmas packages, bags and cadeaux; to decorate the Christmas tree and the Advent calendar, as you saw in the post. I posted many small projects directly on Instagram but who doesn’t follow me didn’t have a chance to see the pictures (do you have an account on Instagram?). So I collected all the photos in a gallery of images, where you will find my baubles, of different colors and sizes. Do you like them? On my e-shop you can buy them on sale, 30% off, in the red with white polka dots variant, and soon you will find all the others. Do you have any other idea? How would you use them? It happens on Instagram while you are following friends, to discover wonderful things: places to visit, recipes to try, new contacts and many wonderful snapshots. And then you find, in a picture, a captivating and bizarre juxtaposition: a bag, a clutch with an unusual taste in shades of pink, with a pair of red Superga shoes. I could not avoid investigating! That’s how I knew Benedetta Bruzziches and its collection S/S2014 . 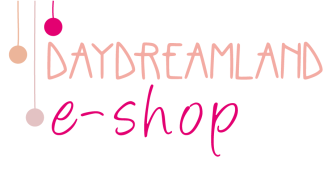 There’s a big sale on daydreamland!!! Come and visit my e-shop, insert the SALE2014 disconut code to have 30% OFF on all the items!!! 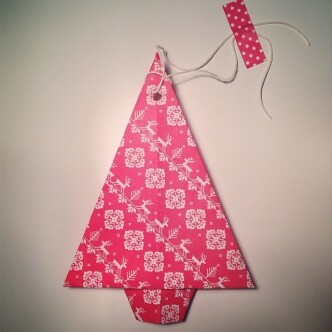 I love origami so much, and I got so involved with them in recent months, that I couldn’t avoid offering you this simple tutorial to make a fir tree, one of the symbols of Christmas. You too can have your own personal paper Christmas tree and put it wherever you like, hang it up, make a wreath, make one really small tree or a very large one. Do you know my e-shop? You’ll find tags to customize your holidays, decorations for your Christmas tree and for your home. All products are handmade with great care by me. 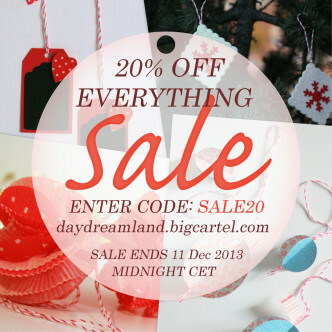 Starting today you can have 20% off on every purchase and to all countries!!! My Advent Calendar? Here it is! I did it some days ago and I couldn’t wait to show it to you. It’s spontaneous, I enriched it day by day: for example, I was making tags for my e-shop and so I tried to hang them to the calendar with some two-tone twine. 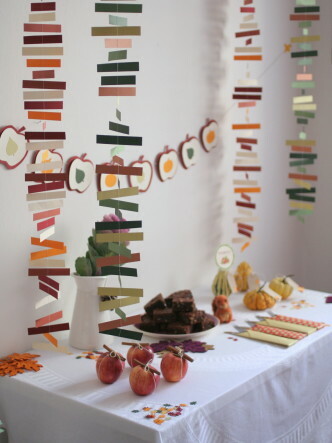 An idea for your table? Here is a small and simple tutorial for you. 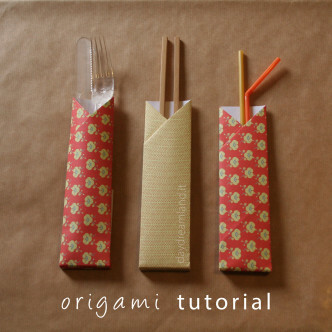 A container for your cutlery or chopsticks, or… find out for yourself! Here comes an intense period, the holiday season, Christmas and its preparations, gifts, dinners, aperitifs with friends to get the best wishes, markets and workshops. 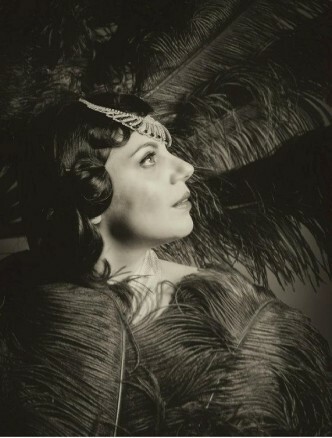 Today we mark an appointment to which you must not miss: December 6-7-8 Vintage Fair in Reggio Emilia. 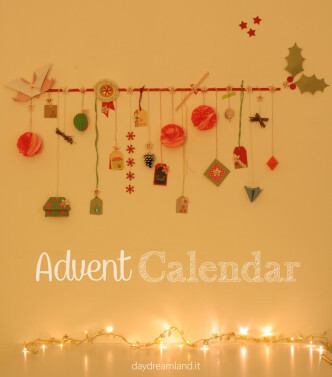 Last week I prepared my advent calendar, which I’ll show you in the next post. Now, however, I would like to show you some photos from around the world to give you some ideas. Maybe you can take inspiration to build your own calendar. You only have a few days left, but you only need some imagination… you don’t need expensive materials, but only a bit of love! What do you think? What’s your favorite one? 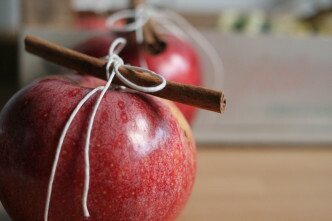 What can you doing with an apple, some string and a cinnamon stick? I have made ​​a centerpiece (actually made from 4 apples). How? 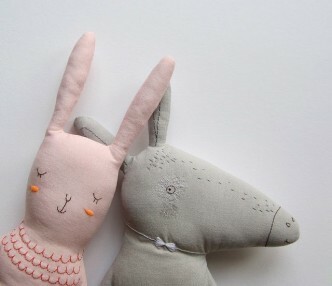 I’m delighted to announce that my e-shop is officially open! But then in time my tastes changed and my passions have taken other directions, for example making decorations for the holidays, realize and take pictures of small sets, enriching them with details. 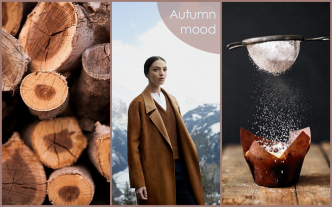 Do you remember the previous posts, for example the Autumn Set ? Well now you can have it, from my online shop! 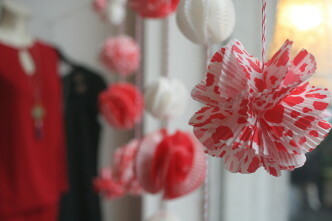 You can buy individual parts like garlands, tags or confetti, or decide to replicate the entire set! Some Christmas products will be available soon, but for now you can have a preview. I’m waiting for you and if you have any question please feel free to email me. 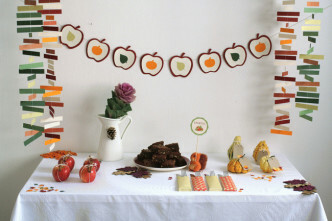 Do you remember my autumn dinner? After making my first animated GIF I’m now going to show you more detailed photos of the set that I made, I hope you’ll like them and they’ll be a source of inspiration! Let’s try together to interpret this new trend; what do you think? Do you like flowers? Yes, but which flowers? I’ve seen for a while this new idea on Pinterest, this new concept is also an original way of thinking about floral arrangements. 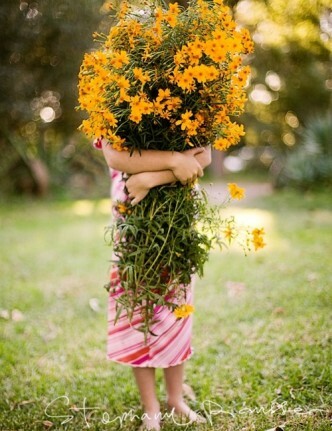 Is there a lover of flowers among you? Because I’s be glad to talk about it again, I really have a thousand questions. Hello and good week everyone! 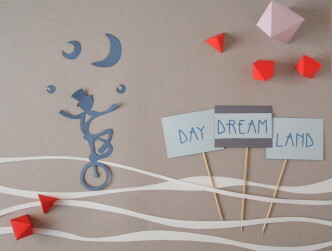 I’m so happy I can show you this animated GIF at last! I couldn’t wait, I made it with Microsoft GIF Animator so I can now show you the last set that I made. What’s it all about? Whoever follows me on my Instagram profile has already caught a glimpse of something, but I kept the best hidden. 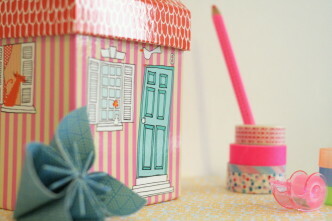 Have a peek , I’ll show you detailed photos and all the details in the next post! From which part of the world do you read me? I was wondering… each of us right now is behind the screen of a computer, a tablet, a smartphone: I write and you read me, but where are you? I’m writing from Milan as you already know (see my about!) And you? 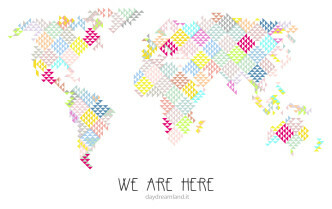 Tell me your town, city and country and together we’ll discover that, near or far, WE ARE HERE! Do you like this graphic? I would like to make some postcards so I can send them to all my friends, what do you think? It’s spectacular and there is a cat! I found this beautiful illustration on Pinterest thanks to the “lightness” board of Giuliana and I wanted to share it with you! 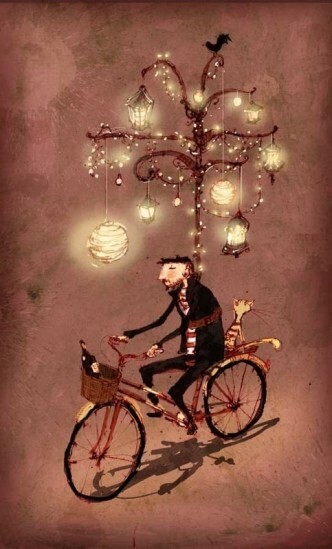 It’s by Lee White, a children’s book illustrator. You can have a look at his works here! Hello, I live at number 8, at Tiger house! A few days ago on my Instagram profile (if you still do not follow me here is the link http://instagram.com/girotundo/#) I posted a picture titled “I got home”: it has red roof tiles, walls in pink and white stripes , a little flower on the window and a bird on the door. What do I want more? Ah, there’s also a cat! 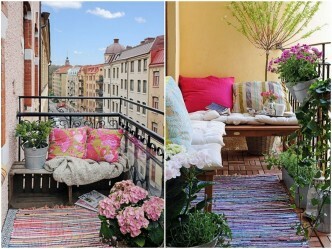 What bright colors, what fantasy, and how much joy in these photos! The impact is very strong and you can’t avoid adoring this photo shoot. When I saw them for the first time I stopped to look at them a bit. They gave me joy and I felt there was something artistic in the air. You know very well that I like to find events here and there and if I could, I would go and look around everywhere, meet new people and learn about their stories, their collections of objects, their products or artifacts. 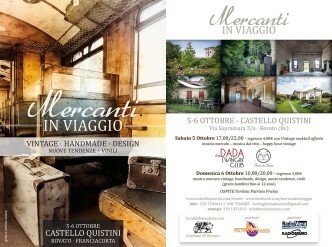 Today I want to highlight Mercanti in viaggio, a wonderful event about Vintage, handmade, design, new trends, vinyl, swing music and vintage happy hour, which will be held on October 5th and 6th in the beautiful setting of Quistini Castle and its gardens, in Franciacorta. 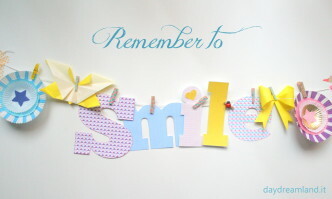 Let’s smile all together, will you? I’ll do! Today I’ll show you some shots directly from my desk … I made this composition some time ago, I’d say it dates back to June, when I worked on the patterns for my new blog (by the way, have you ever noticed that you can customize my blog appearance by choosing the colors you prefer? ), and so playing and experimenting I began to build these big letters with a “soft” shape… a “roundy” shape. Glossy magazines, once the one and only oracle for fashion followers who wanted to know the proposals on the catwalks for next season, have been overcome to a large extent by technology. While thumbing through the web pages of major magazines you are watching streaming fashion shows, and some of you are already looking at photos directly on their smartphone… but how? 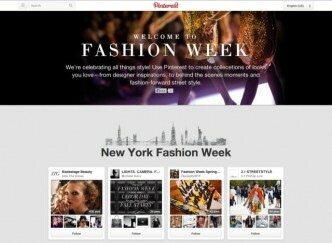 New York, London, Milan, Paris… a selected number of boards of brands, magazines, fashion designers who post on social networks runway pictures, backstage shots, street style and many, many details. You just have to hurry and find out the latest news for the upcoming Spring/Summer 2014 season, and get ready because the Milan Fashion Week will start on September 18th! What was the star of this summer? Definitely the popsicle! And it still is… after all, summer is not really over. 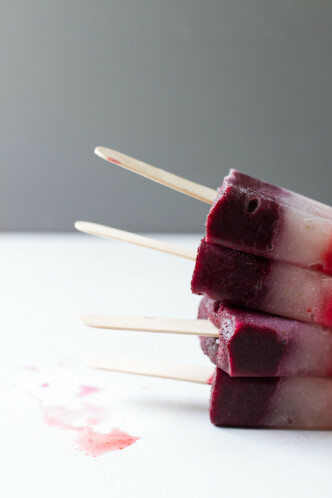 The popsicle is a consolation, a shelter, a snack, a small moment of relief… but it’s not only this, it’s a set of fresh flavors and bold combinations that are new for you to discover, and why not try to prepare at home. 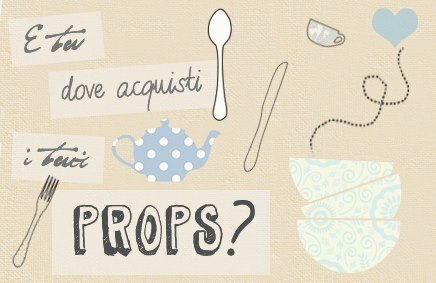 Why not pop in Mantua in the coming days? Guests can enjoy a city that is a gem, but also events such as the Festivaletteratura (festival of literature) in the period from 4 to 8 September; and for fans of the vintage, the third edition of Voglia di Vintage. 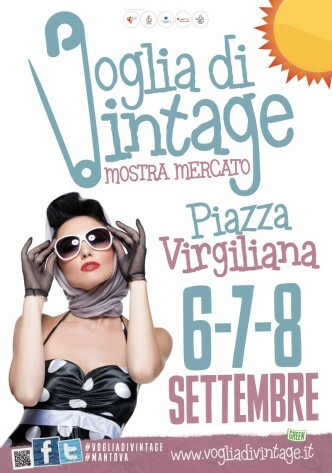 Voglia di Vintage is an Exhibition scheduled on 6-7-8 September in Piazza Virgiliana. Can fashion reflect reality, and through its language make us think? Perhaps Haute Couture, an art form that’s the result of study and research, can do it, in its dialogue with the whole world. Let’s talk about Chanel Haute Couture fashion show fall / winter ’13-’14, a fashion show that is almost equivalent to a perfectly staged theatrical play. And it is no coincidence that I’m talking about stage and scene, because the scene that was set up inside the Grand Palais is a show that has been designed and produced in an entirely rebuilt theater: the stage with its curtain and the backdrop, the audience and its armchairs. Hello everyone, nice to meet you again, and welcome to those who are here for the first time. 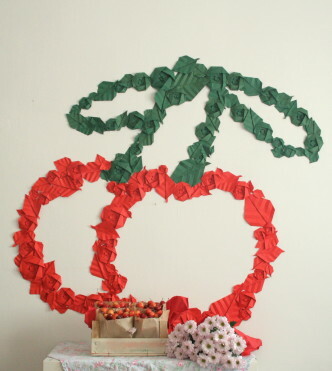 Today I’ll show you a small set that I made in June, the month of cherries. Azure, Lavender, Ocher. 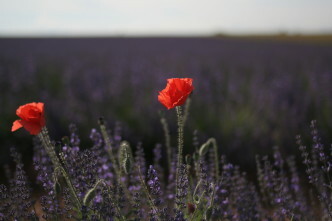 It’s Provence. What a perfect match! 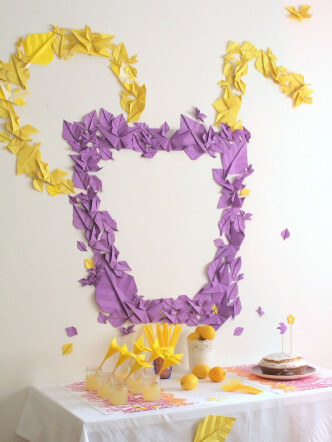 I fell in love with purple in all of its forms; I got a crush on the yellow that gave me joy, freshness and vitality. What happens if the two colors meet? It’s love at first sight! What’s that these colors communicate to you? What is summer for you? More like a complete relax vacation, or rather an all fun holiday? And can you find time for a good book?? I hope so, and I hope they are quality readings, whatever your favorite genre. I have different books at hand right now. Five reasons to see Michelangelo Pistoletto in Milan at the Studio Guastalla. My desire is to capture that part of the audience who doesn’t know well and do not always understand contemporary art but, I add, would like to. I say “would like to” meaning that they are prepared to handle listening, reading and research, driven by curiosity and enthusiasm. 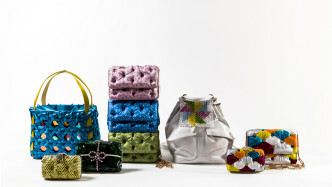 I’m happy to show you today some pictures from Bottega dell’Artigiano’s lookbook. We’re talking about style, leathers, eye-catching shapes and the tradition of Made in Italy. 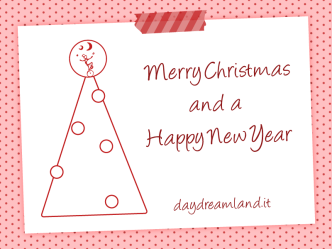 I’m delighted to meet you on my new blog, and I welcome you with my biggest smile! A new name, a new address, and a new image… do you like it? It’s a new place for new possibilities, how about you take a look around? ?